No offside because of deliberate play. That’s when good communication between referee comes in. The assistant referee can usually see the offside position, but the referee also plays a role to see if it’s a deflection or deliberate play. An updated blog post with new video’s. Your first thought probably is: offside! But what happens after the pass pictured below? Alan Black, PRO’s Head of Coaching, Education and Evaluation, shows FIFAs criteria for a deliberate play on the ball in a statement from PRO. (Great job that you publish this, PRO!) This helps you to interprete the action from the defender. This is where the role of the referee is important. You’ve probably noticed the assistant referee raise his flag and put it down very quickly. 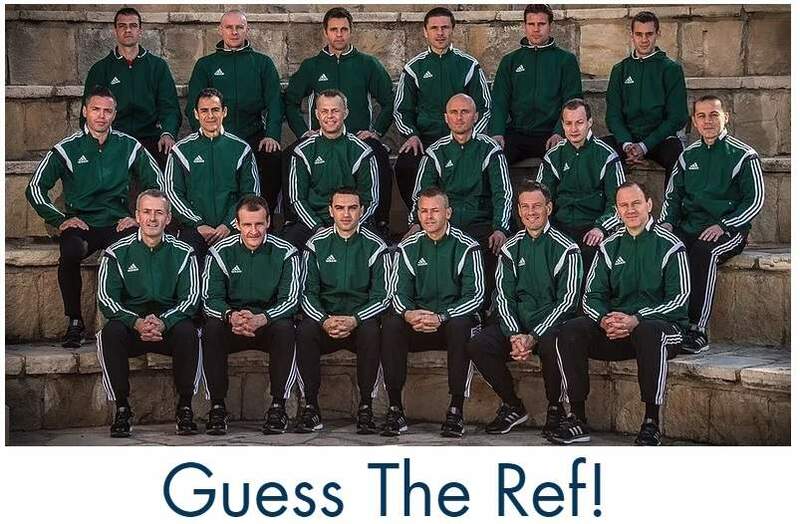 It seems like the referee clearly communicates (via headset f.e.) that the ball comes from a defender and it’s a deliberate pass. In a previous blog post I wrote about the referee’s responsibility with offside. First I’ll share the original video in a tweet to you. What is your call? Make your decision quickly, as you have to in a normal game. Below you’ll find a longer case study based on a clip where there’s no offside because of deliberate play. 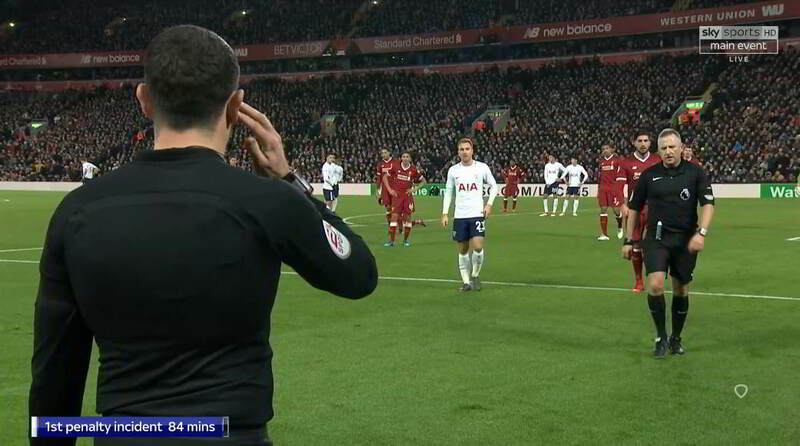 That’s also how Professional Game Match Officials Limited (PGMOL) judges the penalty and offside incident in the game between Liverpool and Tottenham. Jon Moss gets it right, but what can you learn from this match incident? A case study. The deliberate pass is not the most clear hear, but this video got something I want to show you. It’s Jon Moss talking with his assistant referee Eddie Smart. In the video you’ll see some confusion, because Moss is not sure which Liverpool player touches the ball. “Moss knew a Liverpool player had touched the ball, but not that it was Lovren.” Moss asks 4th official Martin Atkinson what he sees on tv, but he can’t watch tv footage. 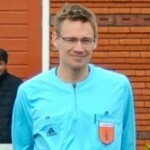 PGMLOL ensures Atkinson has not acted as a VAR. He also gives no advice about what to do. After the talk with Eddie Smart, Moss is sure. There is no offside because of deliberate play by a Liverpool defender. That is why he awarded a penalty. “In real time this was a difficult series of decisions which the match officials judged correctly in recognising that Kane was not offside, as Lovren had deliberately played the ball, and he was fouled for the award of the penalty kick”, says PGMOL. A defender outside the box is not very close to the goal, so this is not a deliberate save. Correct call by Jon Moss. Also wrote another story about offside and the responsibility of the referee. Good day, whilst I agree with your comment regarding the decision on whether a Liverpool player “deliberately” played the ball or not with regards the offside offence and yes LOTG clearly states a “save” is when a player stops or attempts to stop a ball going into or very close to the goal and in this instance the “save” was outside the goal area so not close to goal at all, the question really is was the ref’s call that the challenge on Kane for a penalty correct. If you look closely, there is no clear contact by the keeper on the striker and the striker gives one the impression that he is clearly diving in which case the decision should have been reversed and an striker should have received YC for stimulation and FK should have been awarded to defending team. This is how we saw this offence plus the fact that the AR was caught on national TV giving a fist pump to himself when the decision was awarded, which smacks of something more sinister with this whole matter. We would appreciate your further comments on this and yes whilst we appreciate these incidents occurred some time back, they still form part of many of our group discussions. That’s what I disagree on. If you play and pause the video, you’ll indeed notice the first leg of Kane is not touched by the goalie. But have a look at Kane’s right foot. While he is still standing and not going down at all, the goalie’s hands/arms clearly touches the right foot of Kane, which is why he loses his balance. At such a speed, he can’t keep up his feet this way and it’s a foul for me. Happy to read your analysis. That was mine at the point of the incident, watching on TV in the US, and I was very happy the referee team made the call consistent with LOTG and guidance. However, I was very frustrated by the ‘You Are The Ref’ organization, with their former referees, who seemed only to want to undermine the decision making, as well as the clarification from PGMOL. I think it’s important for referees to learn and apply the official guidance. Having another organization of former referees undermining that information undermines all referees. Good to know we agree, Tim. Some situations are difficult, but official interpretations help a lot. But situations like this will always remain difficult and if you ask a buch of refs, a lot will not call this a deliberate pass I guess. I strongly agree with the decision and am proud we are getting better each day with our refereeing career. It’s always good to learn from other match situations. In the video from Mexico we only see the slow motion replay. I can understand in real time, how the referees saw this as a deflection. The defender is moving and gets in the way of the ball more than he attempts to play it deliberately. Therefore I would agree with the offside.